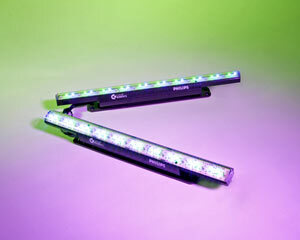 iColor Cove® QLX is a low voltage, linear fixture delivering medium intensity, color changing illumination for cove and back lighting applications. From large-scale commercial installations to simpler residential applications, iColor Cove QLX generates saturated, uniform color and customizable effects within alcoves, task areas, accent areas, and other confined spaces. Employing Chromasic technology, iColor Cove QLX has the capability of auto-addressing, which simplifies installation, addressing and programming.